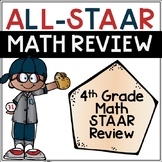 2017 STAAR Spanish 4th Grade Math Practice Test! 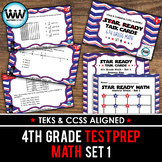 #testprepsale *ALIGNED WITH MOST UPDATED MATH TEKS! 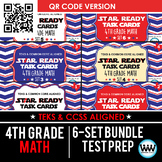 * **WE’VE ADDED SET NUMBERS TO EACH TASK CARD TO DISTINGUISH BETWEEN SETS. 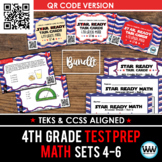 ** Continue preparing your students for the end-of-year STAAR or other state assessment in the 5th 6 weeks of school with our 5th set of STAAR Wars 4th Grade Math Task Cards! 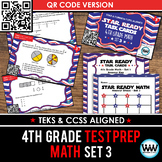 #testprepsale *ALIGNED WITH MOST UPDATED MATH TEKS! * **WE’VE ADDED SET NUMBERS TO EACH TASK CARD TO DISTINGUISH BETWEEN SETS. 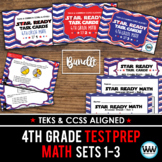 ** Continue preparing your students for the end-of-year STAAR or other state assessment in the 2nd 6 weeks of school with our 2nd set of STAAR Wars 4th Grade Math Task Cards! 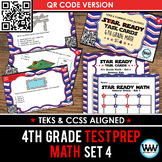 #testprepsale *ALIGNED WITH MOST UPDATED MATH TEKS! * **WE’VE ADDED SET NUMBERS TO EACH TASK CARD TO DISTINGUISH BETWEEN SETS. 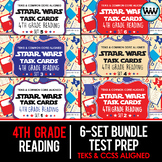 ** Continue preparing your students for the end-of-year STAAR or other state assessment in the 6th 6 weeks of school with our 6th set of STAAR Wars 4th Grade Math Task Cards! 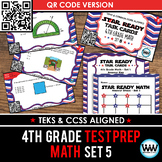 This activity can be used independently, as a pair or as a group. Students will place decimals on a number line. 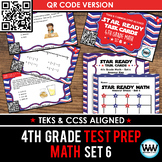 This activity give them practice on ordering decimals correctly. 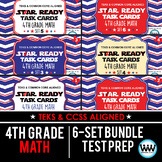 #testprepsale *ALIGNED WITH MOST UPDATED MATH TEKS! * **WE’VE ADDED SET NUMBERS TO EACH TASK CARD TO DISTINGUISH BETWEEN SETS. 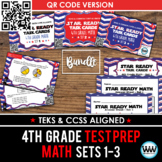 ** Continue preparing your students for the end-of-year STAAR or other state assessment in the 4th 6 weeks of school with our 4th set of STAAR Wars 4th Grade Math Task Cards! 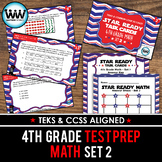 #testprepsale *ALIGNED WITH MOST UPDATED MATH TEKS! 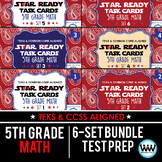 * **WE’VE ADDED SET NUMBERS TO EACH TASK CARD TO DISTINGUISH BETWEEN SETS. 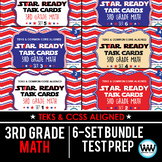 ** Continue preparing your students for the end-of-year STAAR or other state assessment in the 3rd 6 weeks of school with our 3rd set of STAAR Wars 4th Grade Math Task Cards! 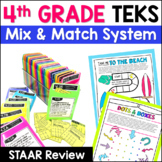 Also included in: 3rd, 4th, & 5th grade MATH TEKS Quick Checks - All TEKS Quizzes included!